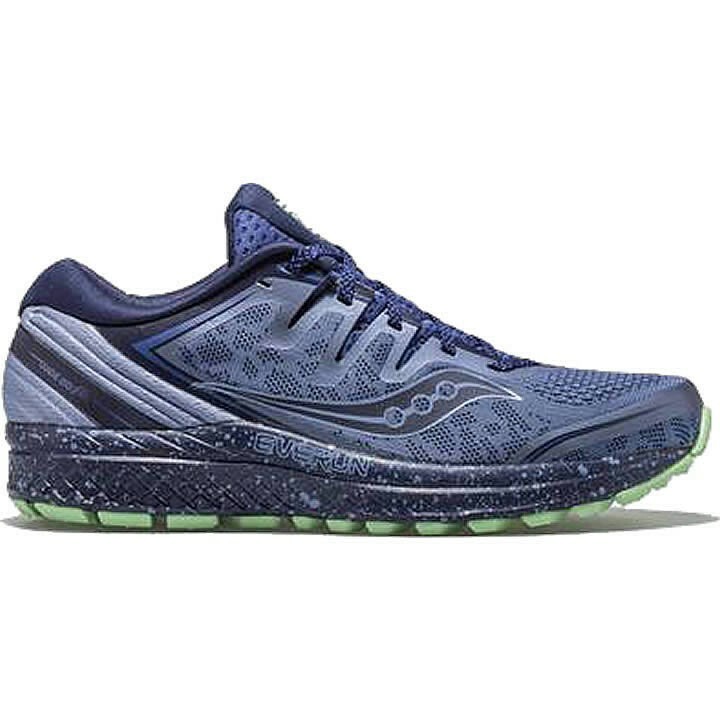 The award winning women's Saucony Guide ISO model has been setting the pace for stability running shoes for the past decade. Designed to support overpronation, the Guide ISO raises the bar again with an innovative ISOFIT design for a more refined fit. Medial support provides an effortless transition with every step. A strong, lightweight material is melded to the upper, which allows for fewer layers in the shoe. The result is a seamless, flexible feel. PWRTRAC: a tacky, durable rubber providing exceptional traction and abrasion resistance. Compound has a Coefficient of Friction (COF) that is 3x that of normal carbon rubber. XT-900 heel: Premium carbon rubber outsole material that offers exceptional traction and high-wear properties.